Here is New Year Countdown for Your New Year Midnight Party 2018. Luxury design, modern atmosphere will give unforgettable emotions for the last minute of this Year! Give Your Midnight Party Unique style. Celebrate the New 2018 Year’s Eve with a personalised modern countdown clock. 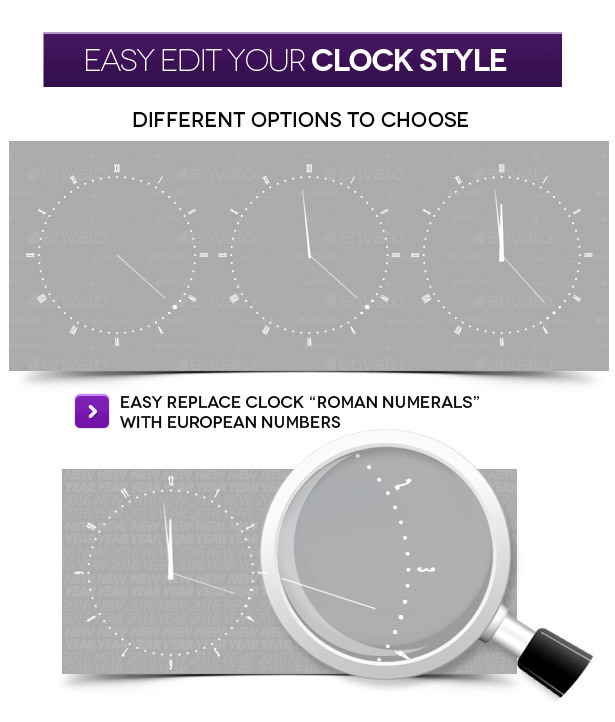 Easy and Fast (one touch) Color Control system. 20 Media Placeholders for Your own city or personal media files prepared (Put Your Video or Photo inside) Replace Text, logo and Hit Render! Simple as 1,2,3! Good Luck. Wish You Happy New 2018 Year! Christmas & New Year Event, Countdown Clock, New Year Midnight Event, Xmas Party, 2018. If you liked this video, place Like, share with friends on social networks and leave your opinion in the comments. Join Us and receive fresh News, Templates and Updates every day! 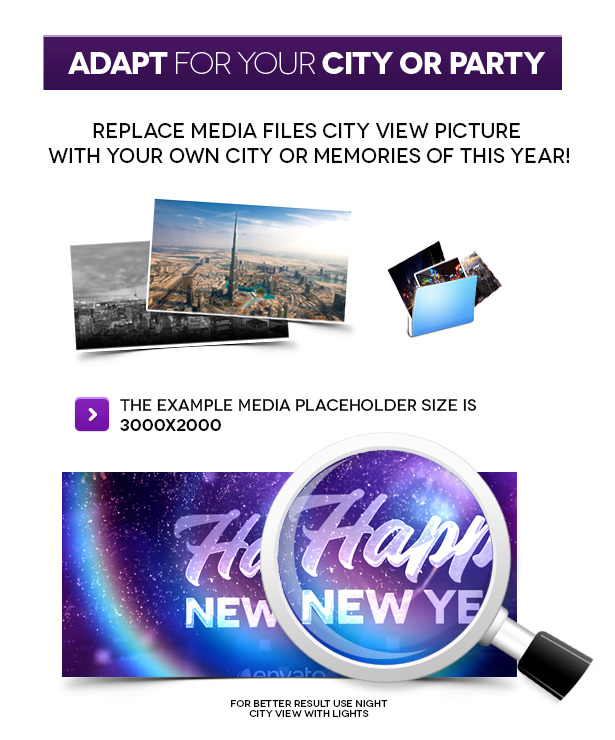 20 Media Placeholders for Your City (or Party) Photo/Video and 31 Text Placeholders already prepared for Your message! *Audio is NOT INCLUDED, only for the preview. Music Is created by one of the greatest Audiojungle Author – “Leto”.